DISEASE amongst household pets could skyrocket after anti-vax scares have left vaccination rates dangerously low, a leading veterinary body has said. The Federation of European Companion Animal Veterinary Associations (FECAVA) have said household pets in the UK are losing their “herd immunity” after anti-vax conspiracies surfaced online, scaring pet owners. The FECAVA believes the anti-vax movement, which has been fuelled by social media, is pushing pet vaccination rates below the threshold at which outbreaks of deadly conditions such as canine typhoid fever and Parvovirus can be contained naturally. 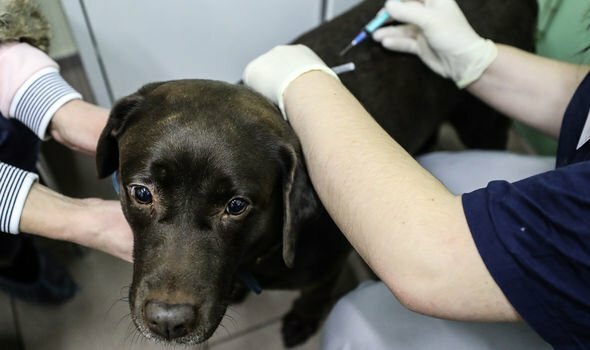 Figures from the People’s Dispensary for Sick Animals show 25 percent of dogs, roughly 2.2 million, no longer receive a primary course of vaccinations. This is a rise of 20 percent since 2011. Around 35 percent of cats are also now unvaccinated. This compares to around 70 percent in 2011. Vaccine scepticism is a growing threat to human medicine. One example which added fuel to the fire was the fraudulent research published by Andrew Wakefield in Lancet in 1998. Mr Wakefield said there were links between vaccinations and autism, but this was later discredited. The theory was endorsed by a number of celebrities, as well as the World Health Organisation ranks “vaccine hesitancy” among its top 10 threats to global health. 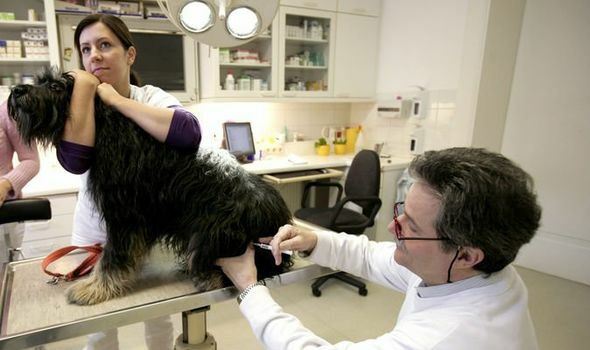 FECAVA president Wolfgang Dohne said: “A growing minority of pet owners are suspicious of vaccination in general, and this is similar to the anti-vaccination movement we have seen among parents. So much of this anti-vac fuelled by social media & affects humans as well. Massive measles outbreak in New York for example. Thoroughly irresponsible & I would much prefer to take advice from a qualified vet & if I had doubts about that advice I would be seeking a second opinion & maybe look at peer reviewed research. My 3 dogs receive regular vaccinations with no adverse effects & I am very grateful to my vet practice for their vac for life offer which I have signed up for. Bargain. I used to breed Siamese & all the cats were vaccinated as were the kittens before they went to their new homes. Responsible pet owners need to ensure their animals are vaccinated. Sadly I don’t think everyone carries out their own research before deciding not to vaccinate. The link above gives an overview & access to relevant research. Another issue may be the cost of vaccinating. Sometimes I think pharma & some vets are well aware that most pet owners will pay a lot of money to ensure their loved pet is given high quality care. Insurance costs are often prohibitive & it is difficult to decide level of cover especially for pedigree animals & for older pets. I for one will not put my much loved pets at risk. I have never had any problems at all. Please don’t put your dogs/cats at risk. Just because you read something on line. How does this differ from any other scare mongering. Have we seen a documented increase in these diseases? The FACT is that the pharmaceutical companies who make the vaccines have stated (you can read it on their websites) that some of these vaccines provide up to 7 years protection. Overloading the body with vaccine can have serious consequences to the autonomic and autoimmune systems. Please do not assume that all those who do not vaccinate yearly do so without having researched very carefully. Equally, just because it is advised by the veterinary world, it does not mean it is in the best interests of the animal. Pet vaccines, just like pet food, are multimillion pound industries! I am not suggesting people should not vaccinate. There is definitely a good reason to vaccinate. However, but I do feel people need to educate themselves instead of taking everything said by vets as gospel.